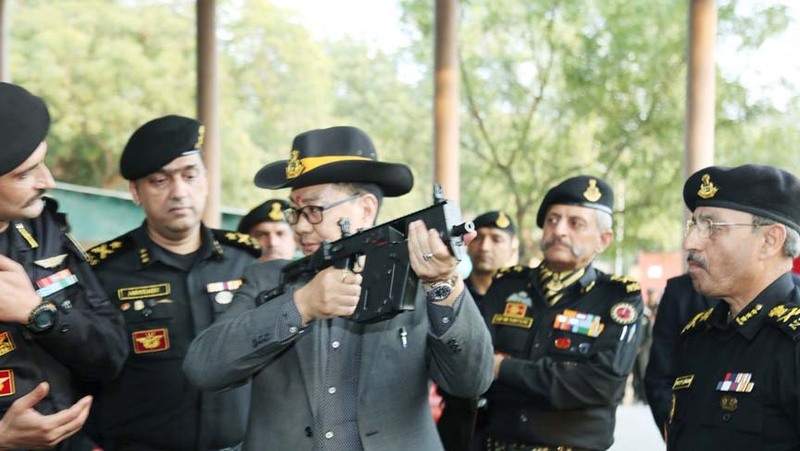 Union Minister of State for Home Affairs Kiren Rijiju kicked off the 19th All India Police (AIPDM) Shooting Competition 2018 at the National Security Guard (NSG) Camp, Manesar in Haryana’s Gurugram. The event is being organized by the National Security Guard (NSG) under the aegis of the All India Police Sports Control Board from December 6, 2018 to December 11, 2018. A large number of eminent personalities and senior officials from various departments / CAPFs attended the event. More than 750 shooters of 31 teams of State Police Forces and CAPFs have participated in the event. The competition is an annual event and aims to improve and judge the professional skills on weapons in the police forces and CAPFs of the country. The competition will be mainly fought in three service weapons i.e. Rifle, Carbine and Pistol. There will be total 13 matches and 41 medals and 13 Trophies will be awarded to the winners. Director General, National Security Guard, Sudeep Lakhtakia, delivered the welcome address on the occasion and expressed his gratitude to the Union Minister of State for Home, Kiren Rijiju for sparing his valuable time and for boosting up the morale of participants. Union Minister Rijiju also stated that the Armed Forces of India have some of the finest guns in the world. He also stated that the level of standard in the All India Police Shooting Competition is very high. Rijiju further said all the top marksmen of the Central Armed Police Forces and State Police have participated in the competition to show their talent.